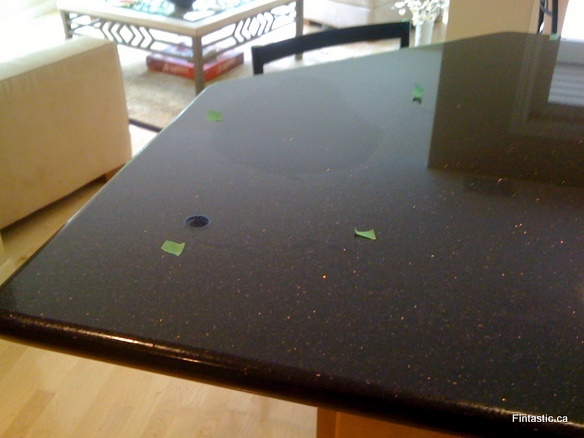 Granite Counter-top stain damage | Fintastic Services – Friendly and professional carpet cleaning, floor care, leather and upholstery restoration services. Serving Lower Mainland, BC, Canada. 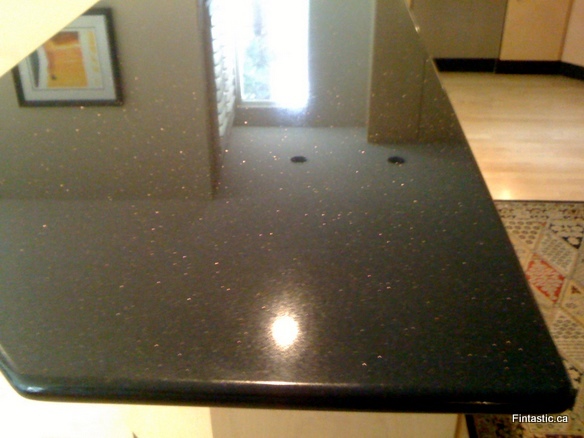 This granite counter-top was stained by wood-floor coating. We restored and polished it so that it becomes shiny again.